Manufacturer of bone china at High St, Fenton. Samuel Radford produced china at Longton and then at High St, Fenton (from 1885) following the dissolution of an earlier partnership with Joseph Amison. The business passed to Samuel Radford’s son William Radford and in 1931 was sold to Colonel Norman W. Elliott who continued the business. The company closed during the Second World War when the firm was concentrated with T. G. Green & Co. Ltd. 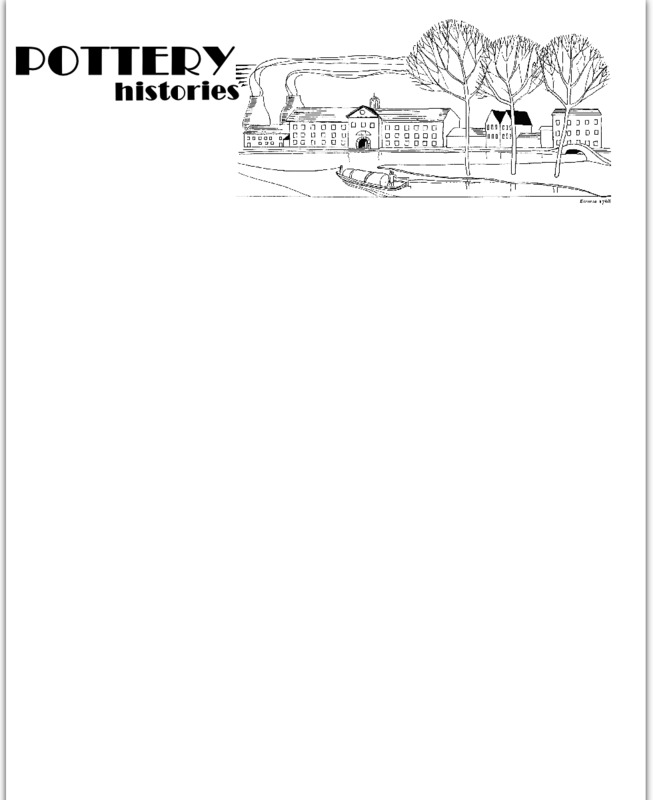 It reopened at the end of the war, but in 1955 Elliott sold the Radford’s factory in High St, Fenton, to Mr Stanley Harrison the owner of Coalport China Ltd and the Samuel Radford Ltd business presumably closed at about this time. The plan for Coalport to occupy the Radford site were abandoned and by 1960 the High St factory had been demolished. 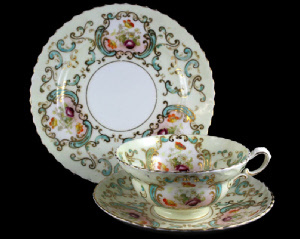 Samuel Radford was known for elaborately shaped and extravagantly decorated bone china teaware and tableware using traditional patterns, and the company was an important exporter to North America, the Dominions, and European countries. The business also produced ornamental china and giftware. There are many Radford marks and most combine a crown and intertwined ‘SR’ initials in various forms. From c.1938 the mark has the crown and Radford name only. ‘Radfords’ and ‘Radfordian’ were used as trade names. Ornate teaware such as this enamelled and gilded trio are typical of the Samuel Radford ware of the 1890s and early 1900s.